For any camping or glamping business it is vital to think about a website which showcases your service with unforgettable branding and stylish photography. This is a recipe for success but isn’t always easy to achieve. 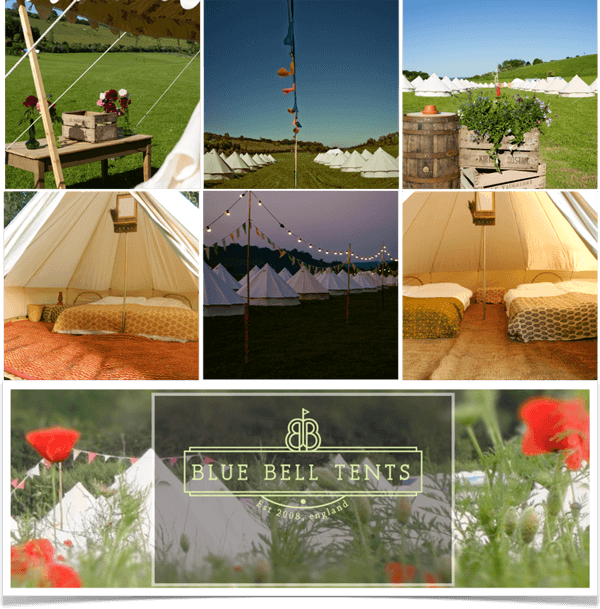 Peter Barden, Marketing Manager for Blue Bell Tents has just been through the process of updating their own site and very kindly allowed us to ask him a few questions about how best to achieve a successful outcome. What is your brand and why did you choose it? The founder’s nickname is Blue or Blouise (instead of Louise) – inspired by blue body paint, friends and Burning Man in 2007. 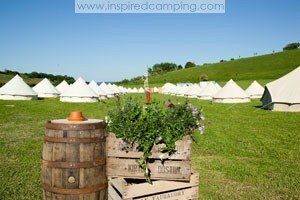 Blue Bell Tents had a nice ring to it- don’t you think? We re-branded the logo and website this year to reflect a fresher, more grown up and stylish outward feel for the company, reflecting our commitment to the highest quality travelling canvas hotel going. We have spent a long time designing, commissioning and making the interior furnishings for the tents, refusing to compromise on comfort and luxe just because we have to pack everything onto trucks every couple of days and set it all up again! It was a priority that this attitude comes through in a smart, well designed logo and website. How have you combined these into the design of your website and blog? Louise has long harboured a fetish for the shiny cocktail bar of old, found in all its glory today in venues such as Claridges in Mayfair. So we asked for this to be combined with an emphasis on breezy summertime magic and carefree barefoot days – you can see our developers had a tough brief! Hence the deco characteristics of the logo are blended with light, pastel shades, wildflowers and elegant idyllic photos on the website. Our blog the ‘Land Diaries’ is currently a work in progress but reflects two very important themes that are woven into our work; nomadism and travel all across our gorgeous Isle, and also broader social relationships with politics and critical matters of the land and ecologies. Our guests’ experience starts the moment they see a photograph or explore our website, and carries through to zipping up their tents and wandering home without the bother or worry of packing it all away again. Our core values centre around delivering joy and a little bit of magic, so this must absolutely start with the identity and visual feel of the services we offer. How important is it for your brand to be memorable, different from competitors and attractive? The phenomenal rise of the festival industry in the UK has given cause for associated businesses and services to blossom at pace. Hence, boutique camping competition is fierce and becoming more so. It is therefore vitally important for us to stay ahead of this highly competitive and corporate crowd, without losing sight of our core values as mentioned above. To this end we feel we’ve done well at matching our marketing aesthetic to our production values and we trust that we will be memorable thanks to this approach. Did you take inspiration from other companies or people you admire? Certainly! Ideas germinate from other ideas, and we’ve certainly been lucky to have been surrounded by the very best characters in the events production world. It’s worth considering you’re only as good as the company you keep. Did you employ a website and brand developer and would you recommend this expense? Why? We did and would absolutely recommend using professionals – it’s really not worth scrimping on. In the digital age it is imperative that your website and brand are designed to the highest standard possible, given the computer is now the new shop front. 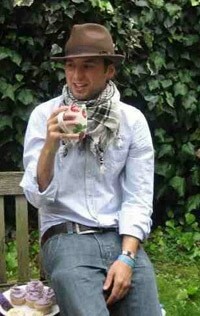 You have some lovely pictures on your site. How important do you think good images are for your camping business in the tourist industry? For the same reason as above, you paint a digital picture for future customers and the best way to do this is with appropriate imagery. It’s perhaps cheesy to reference, but a picture really is worth a thousand words, and many thousands more would be needed to briefly describe the wonder of a summer day in the wilds of Britain. How do you target your brand and photography to your audience? It all comes down to focus on the customer – we are wholly committed to delivering the very best experience for our clients, and as such earnestly listen to their likes and dislikes. With this understanding in hand our targeting comes naturally, it’s a way of behaving and thinking supposed to a commercially deliberated strategy. How do you plan to take your website brand and photography to the next level? We have some interesting developments in the pipeline; all we can say is – watch this space! What are your top 5 tips to others just about to develop their website, brand and photography for their camping business? Don’t be miserly – scrimping will only cost you further down the line. Be cautious – web designers / builders are two-a-penny these days; whilst many are worth their salt, many aren’t. Make sure you do your research before taking someone on to drive this critical shift in your business. We’ve just used People Per Hour for some quick design work and, thanks to peer reviewing on the site, we found ourselves a brilliant and very reasonable designer. Get involved – don’t leave it all to someone else , you need to be at the heart of this transformation. Strike a clear and realistic agreement – ensure you agree a watertight proposal or you’ll end up wasting time and energy with unnecessary back and forth with your developer/s. Have fun with it – you won’t be doing this every day!